I’ve been mixing worship at various churches for about a decade now. 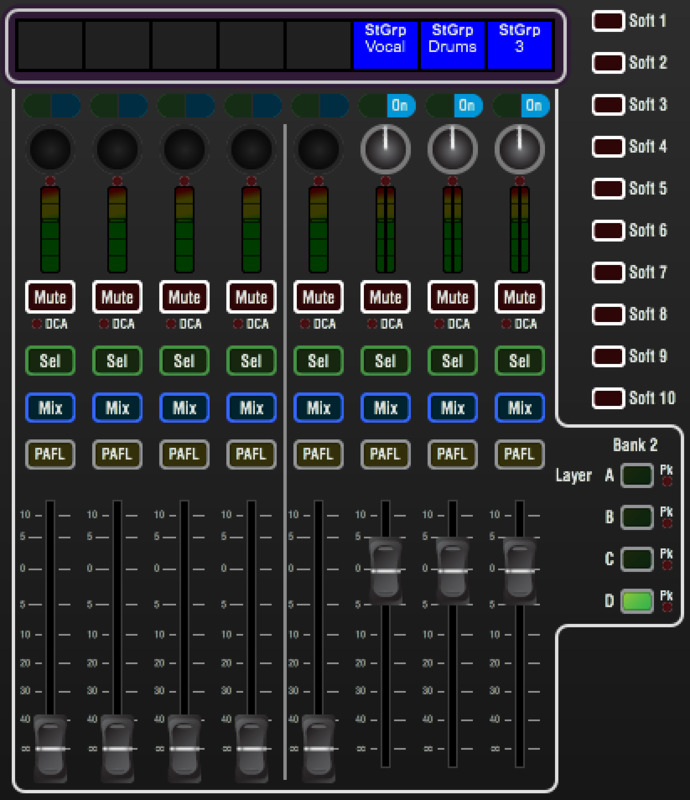 I started on the Soundcraft Series 200SR, mixed on Mackie for a while, upgraded to the Allen & Heath ML4000 (love that beast), got my hands on the PreSonus StudioLive for a bit and now my current church is moving fully into the digital world with the Allen & Heath GLD-80.I’m going to be writing a series of posts covering our recent migration to the world of digital audio. I’m going to be talking a lot about how we’re using Dante to revolutionize the way we route our audio along with lots of other tips and tricks we’ve learned along the way. To help you along this journey, feel free to download my GLD Show and follow along. Once you’ve downloaded it, put it in your shows folder. On Mac OS, you can do this by going to your desktop and pressing ⌘-Shift-G and going to “~/Documents/Allen & Heath/GLD Editor/Shows/”. Simply drop the archive into that folder and restart GLD Editor. You should see my preset under the Setup -> Memory page. There are a ton of great digital consoles out there these days at every single possible price point. I’m not going to try to repeat the numerous other blogs out there comparing models and prices and features, but I’ll summarize our decision by saying that in my opinion the GLD-80 is the best digital platform for the price, especially in terms of monitoring flexibility and Dante support. The built-in ability to send 40 channels to your monitors is exceptional. 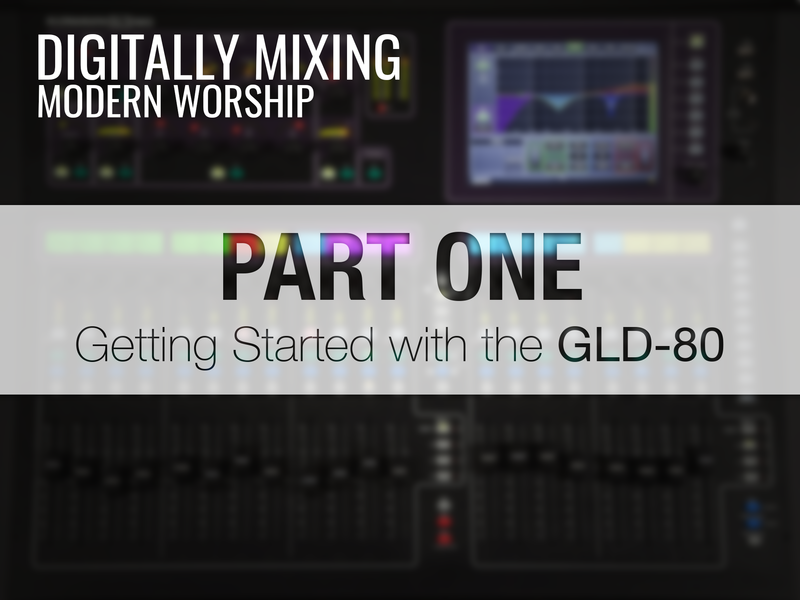 The GLD-80’s internals outweigh competitors like the Behringer X32 or Midas M32. For example, the Dante expansion card for the GLD-80 supports 64 channels of I/O, versus just 32 for the X32 or M32’s Dante expansion card. This might seem like a “I’m never going to need that much” issue, but if you ever want to do full multitrack recording or run digital inserts like we do, you’re likely going to run out at just 32. We’re also going to need two Gigabit switches for Dante routing. We’re already using Waves MultiRack with the Waves 9 plugin set as an analoge channel insert via a USB audio interface, so we’re excited to expand our capabilities with Dante. The only software we had to buy to make this possible was the Audinate Dante Virtual Soundcard for $30 USD. This theoretically gives us the ability to run 64 racks of Waves inserts! Pretty incredible processing power at this price point. 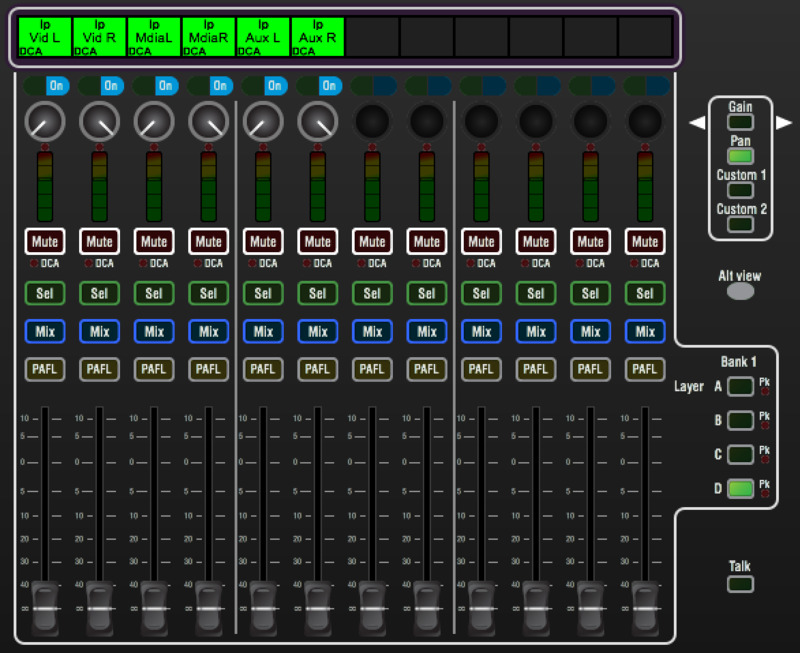 We’re also using the excellent offline GLD Editor, along with GLD Remote and GLD OneMix for iOS. I actually built our entire setup before the console arrived using the GLD editor. By the time I got my hands on the actual hardware I was completely comfortable with every aspect of the desk. Nice job A&H! 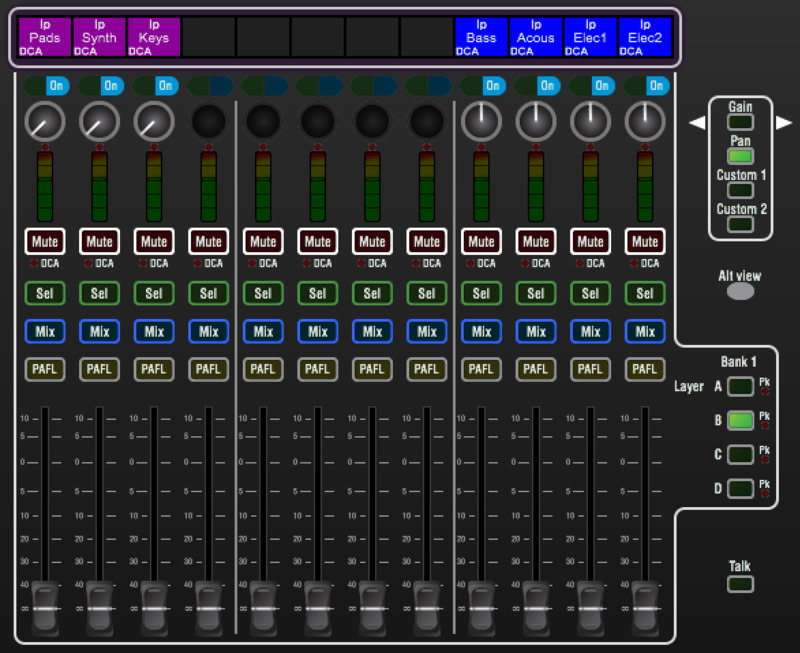 Allen & Heath did an excellent job in my opinion with the GLD editor. Unlike Virtual StudioLive for the PreSonus StudioLive, GLD Editor is a complete replication of the desk’s surface on your Mac or PC. 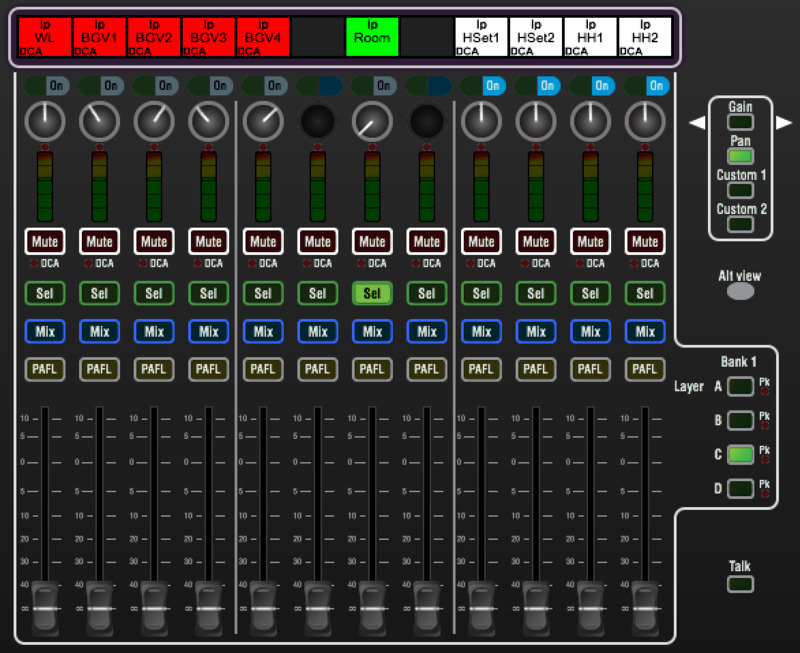 The buttons act the same, the faders act the same. Even gangs work just like they do on the real surface! The only thing I wasn’t able to do–which was a bit frustrating–was set up my user profiles. Start by laying out your input list. If you’re moving from an analoge desk to digital make sure you consider the way layers work on the GLD. For example: you probably don’t want to have the first have of your drum kit in layer A and the second half in layer B. If you’re like us and you don’t need all 48 channels you get on bank 1, leave yourself some extra room. Also use color coding to your advantage as you set up your channels: I opted to group similar instruments together by color. That way my DCA’s match and I don’t always have read the scribble strip to know which one to reach for. I think just about everyone puts drums first, don’t they? I could see us expanding with a snare bottom mic and perhaps more toms, so I’ve got a few extra channels here for future use. 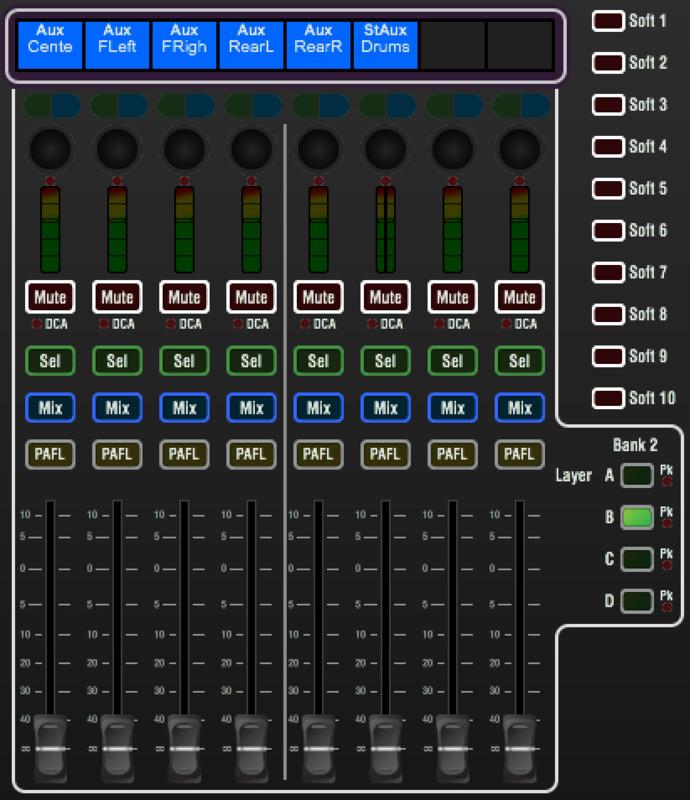 I also put the click and background track channels here because it’s typically our drummer running these. Tip Notice that I have percussion (Perc.) panned hard-left: this is actually one of two “ganged” channels. I’ll explain more about how and why I did this later. Pretty basic: vocalist mics, room mics and our spoken word mics. 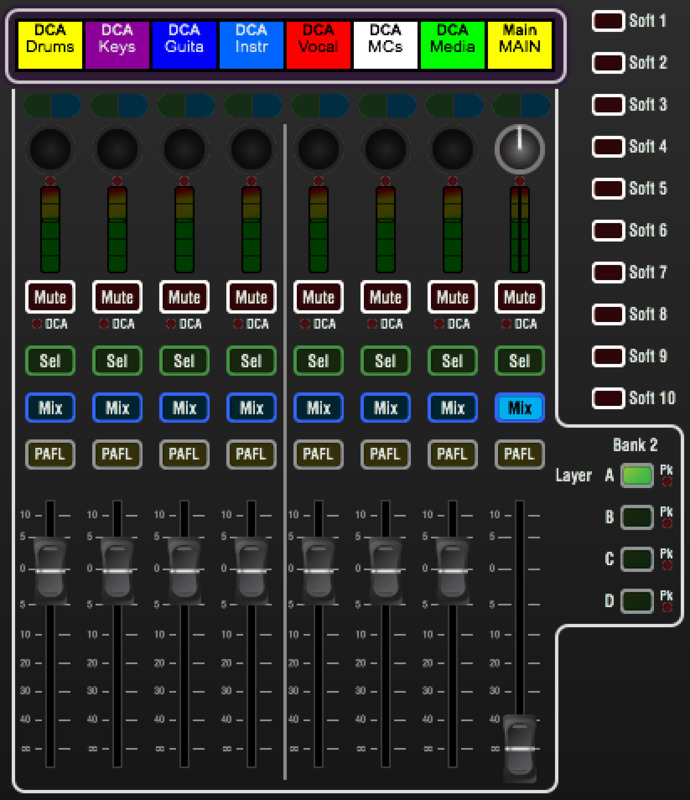 Layer D has all the extras: audio feeds for video, media, and auxillary ins (for iPods and the like). Plus some room to grow. 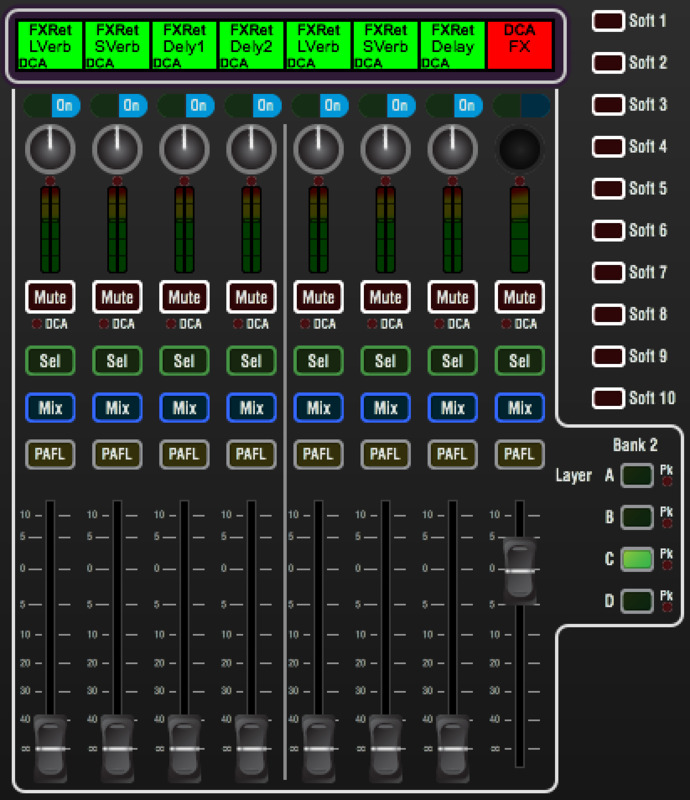 Although I really wish the GLD supported actual stereo channels, ganging lets you get pretty close. The idea is this: if you have a stereo track, keyboard, or other instrument, you don’t really need two full channel strips. You actually don’t want to use up extra room because most of the time everything except the pan is going to be identical on both channels. You can see here that I ganged everything except the pan. Now I just set the pan on each channel (100% left and 100% right) and I can remove one of the channels from my layer. 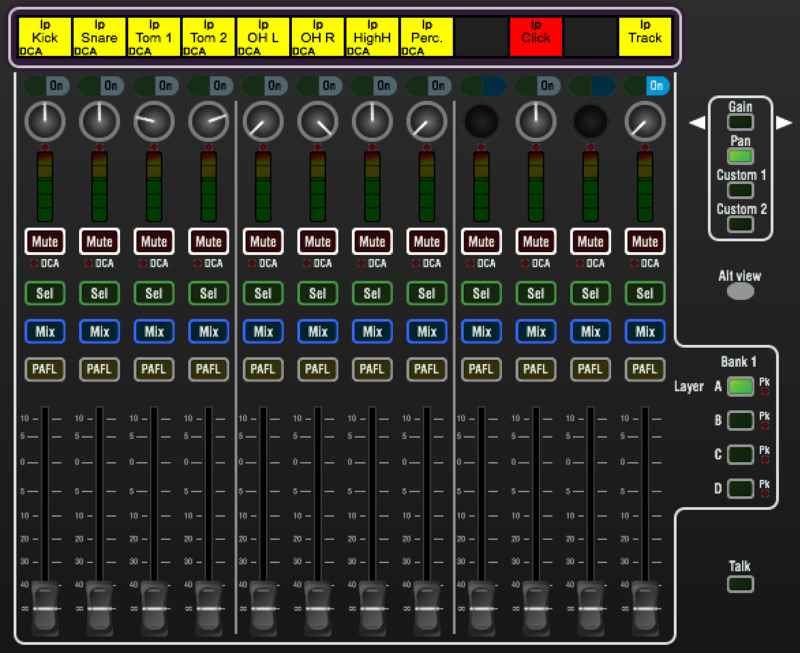 This simplifies things (no need to set two auxilary levels for every darn stereo channel) and saves space on the board. The only downside here is that you only get 8 gangs. If you have more than 8 gangs (or you want to use gangs for something else, like mute or delay groups) then you’re out of luck. Caution Although you may be tempted to use a stereo group to handle this I’d recommend against it. You’re most likely going to want to use those for group dynamics and EQ processing, which isn’t something you can do with a gang. This will be my primary layer. Once your DCA’s, groups and dynamics processing are correctly set up you should almost be able to mix entirely from DCA’s. Auxillaries are my second most often accessed. It’s important to be able to get to your aux mix quickly, especially if you’re both front of house and monitor engineer (as we currently are). Layer C houses all the effects returns. 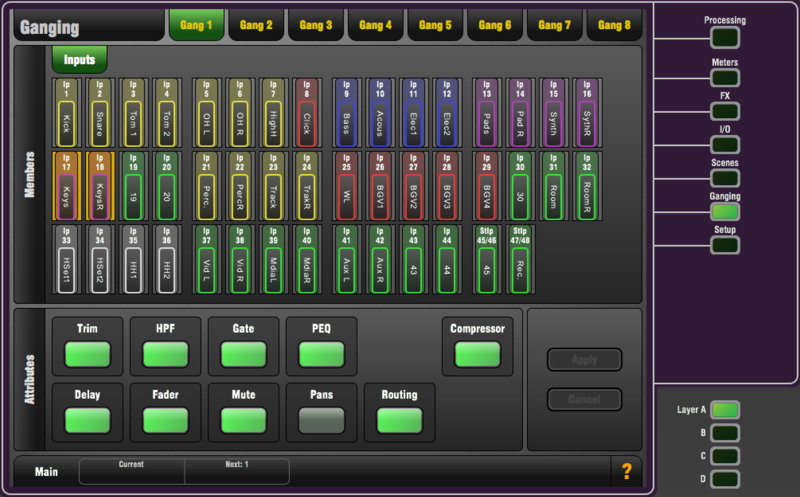 This lets me manage how much of a given FX bus makes it to the mains. Lastly, subgroups. 90% of the time I’ll leave these at 0 since I’m just using the groups for group dynamics processing and eq’ing. All that’s left now (besides individual channel settings and actual mixing) are some basic personal preferences. Right now I’m only using two soft keys: a global tap tempo, and a mute for a VCA housing all my on-stage wedges (so I can bring down stage volume during the spoken word portion of our service). I’d recommend putting common FX busses in for your custom keys, that way you can quickly tune the reverb and/or delay on each of your channels without having to dig through your busses. Either that or commonly changed auxillaries: anything you have to mix regularly. Make sure you check out part two of this series.